Little Juna loves adventuring with her friend Hector. Armed with an empty kimchi jar, the two friends would explore their neighborhood collecting bugs and rocks, much like any kid their age. One day, Hector moves away, abruptly, without a chance to say goodbye. How Juna deals with it forms the rest of the book, told in a whimsical, fantasy-style presentation that comes across as Juna's reality. Juna watched the fish swim in circles in her jar. That night when everyone was asleep, Juna put on a diving mask and fins and dove into the water. Juna’s fish took her everywhere. They swam with sea turtles, played with dolphins, and discovered a giant clam. “Can you help me find my friend Hector?” Juna asked her fish. Kids may not quite catch the subtlety woven in via Juna's nightly adventures. At some level, kids may understand it as Juna's imagination, but they might also be confused by the magical realism woven in, mistakenly assuming that Juna actually gets to go underwater and search for Hector, or that she is dreaming about it all. Leveraging the power of threes, Juna gets a fish first, then a bean plant, and then a cricket. Each time, she is out on a nightly adventure with these, and at the end of her adventure the things outgrow the jar (or, Juna outgrows them), predictably, as Juna eventually makes peace with Hector's absence. In the end, she takes her empty jar to the park, not knowing what to put in it, when she comes across another girl looking for a jar to put her inchworm in. The dreamy watercolors in greens and yellows add a freshness and capture the mood well. Asian American (and Hispanic) elements are woven in lightly in this book; at the same time does not isolate the cultural identity of Asians thereby excluding kids of various heritages besides Asian to enjoy this story. If we replace Juna and Hector with a non-Asian Ana and non-Hispanic Victor, and replace the kimchi jar with a typical Mason® jar, the story will still hold together, thanks to the universality of friendship and imagination. The fact that kids' books still are not diverse enough makes books like these all the more needed. Kids will pick up books with which they can identify better. Being of mixed heritage, the resident nine and seven year olds have been exposed to as many multicultural books I can get my hands on, right from their toddlerhood. They were quite ambiguous about this book, reluctant to finish the first read, let alone ask for repeat reads. The seven year old was confounded by the fuzziness of logic as well as the monotonous repetition of the pattern of Juna's nightly forays with no surprises or satisfying resolution of Juna's friendship with Hector. And that is okay - some stories/situations do not have a tied-up-in-a-neat-bow type of resolution. The book is about how Juna fills the lacuna left by Hector's disappearance, leveraging her power of imagination. 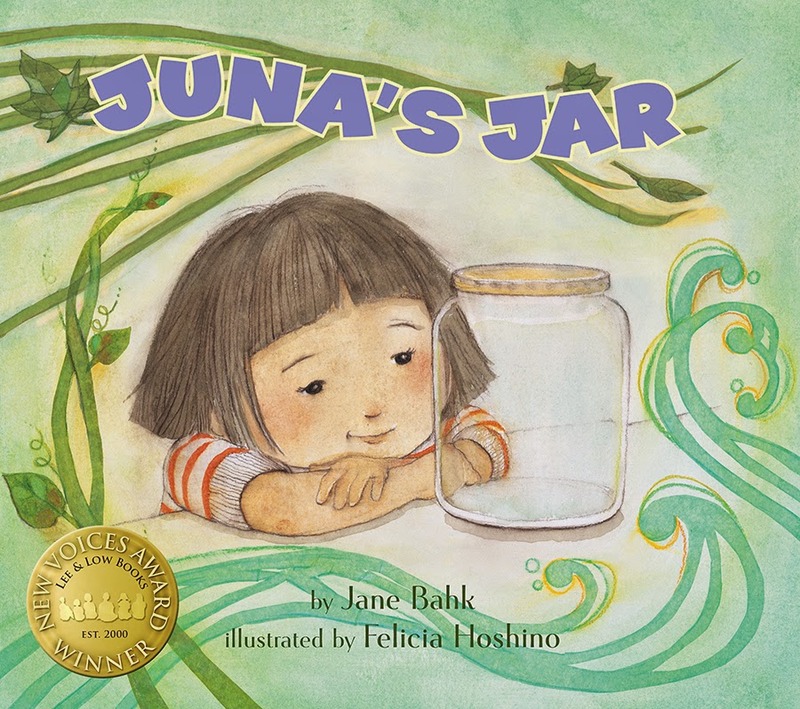 Winner of Lee & Low's New Voices award, Juna's Jar presents a young Asian American protagonist who cares about nature, values friendship, and is not easily devastated by life's setbacks - she uses her imagination to come to terms with reality.